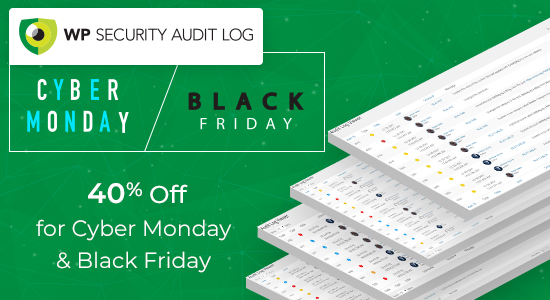 If you have been wanting to buy the premium edition of the WP Security Audit Log plugin, this weekend is the right time to do it. We are running a Black Friday and Cyber Monday promotion and we are chopping off 40% of all the premium plan prices. The promotion is running from the 22nd until the 27th of November this year.